If there is just one tour that you have to pick while in Mysore, this would be the one! 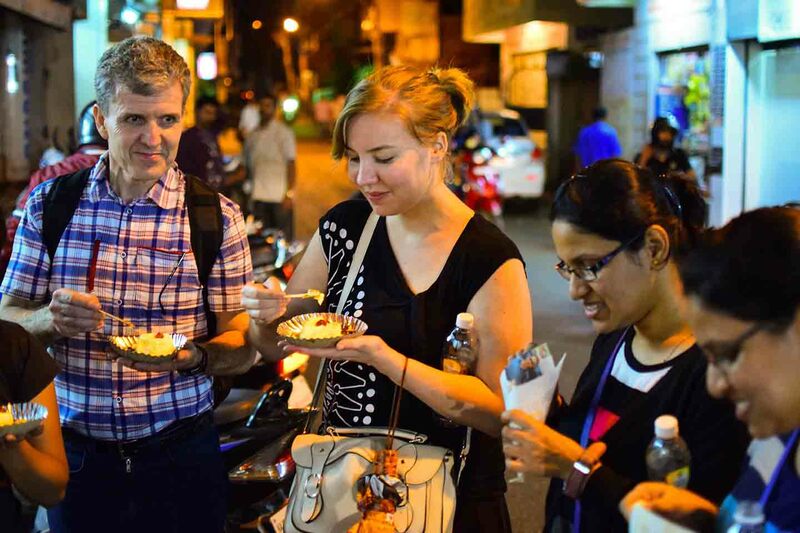 Join us on our most popular tour, a combination of our Royal Walk + Food Tour, the Best of Mysore tour. Experience the best the city has to offer. You start the tour at 5pm with the Royal Walk and continue the food tour right after. Join us on a guided tour in the heart of the city, as we walk by some grand old structures and unfold the story of Mysore. Learn about the opulent lives of the Maharajas and how one of the richest men on the planet lived. Explore a century old market and immerse yourself in the vibrancy and colours. Mysore Pak, Mysore Masala Dosa, Mysore Churumuri the list goes on with gastronomical delights from the city. If you are a foodie then Mysore spoils you with its wide variety options. Now who doesn’t enjoy some good food especially when there is so much out there to choose from. And mind you, we take all matters related to food quite seriously! Walk by some charming old heritage structures that have played host to greats such as Gandhi and Nehru. See how the story of Mysore connects to several significant historical events around the world. This fruits and vegetables market has inspired many a great artists, if you plan to shop here you might want to polish up your bargaining skills. As locals, we’ll take you to the nook and corner, to the best food places in town so that you can bite into delicacies that you’ll remember!